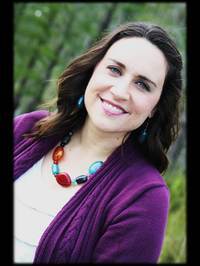 Welcome to my stop on the Anomaly blog tour hosted by YA Bound Book Tours. Emma McGee (EM), Krista’s 14-year-old daughter (KM), interviews Berk (B) – the seventeen-year-old Scientist-in-Training from Anomaly. EM: Wow, you are seriously cute. EM: No, I mean, like really cute. So much cuter than the boys in my school. B: I am not really sure what to say in response to that. EM: You even talk cute. That’s so cute! Krista McGee (KM): Emma, stop flirting and start interviewing. EM: Fine, but technically, Mom, he isn’t real, so it isn’t flirting. Right, Berk? EM: What kind of name is Berk, anyway? B: It’s short for berkelium. EM: Well, thanks, that clears it right up. EM: That was sarcasm. What in the world is berkelium? B: It’s an element on the period table of elements. EM: Of course it is. So you’re named after an element. B: We all are. Thalli, for instance, is short for thallium. EM: Oh, yeah. You kind of have a thing for Thalli, right? B: I enjoy her company, yes. EM: You know, Mom wrote Thalli to look just like me. So if you like Thalli, then it would only be logical that you’d like me. Right? B: I have not seen Thalli for five years. B: I left Pod C when I was twelve so I could study with the Scientists. EM: Cute and smart. Do you like Taylor Swift? EM: Fine. Sorry. I just really wish you weren’t fictional. Really, really wish. But whatever. All right, so…you’re studying with the Scientists? B: Because I will one day take over. EM: Because Scientists rule your world. B: Yes, they are known as The Ten and they maintain peace and order in the State. EM: So what do you do all day? B: Every day is different. Right now, for instance, I am studying with Dr. Spires, learning about the water filtration system. B: I’m afraid you are using terms I am unfamiliar with. EM: Forget it. So what do you do for fun…or, uh, for not-work? B: When I am not working, I am resting. Productivity is paramount in the State. EM: You work and sleep? That’s it?? B: What else is there? EM: Oh my goodness. My mother has sucked the joy out of life. What are you thinking, Mom? This poor boy needs to go out. Now. KM: Emma, it’s a book. EM: Where your main guy works and sleeps and has never heard of sarcasm? 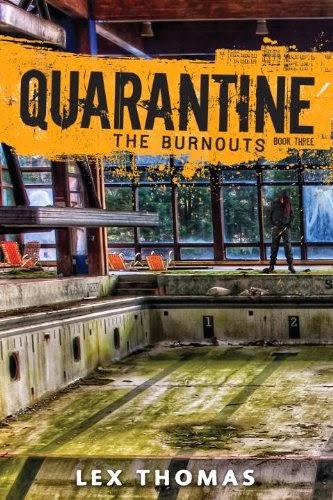 KM: Thus the genre, dystopian – meaning dysfunctional world. EM: Dysfunctional is right. He doesn’t even know who Taylor Swift is! Just let me take out. He can go to the mall with my friends. Hannah, Nicole and I can totally introduce him to fun. And sarcasm. And Taylor Swift. KM: I knew this was a bad idea. I apologize, Berk. Go ahead back to work. Best of luck learning to run the world. B: Thank you. Good bye, Emma. EM: The mall, Mom? Just for a few hours? Pleeease? KM: This interview is over. I came across this tour the other day and the more I read about Anomaly the more I want to read it. Thank you for the fun character interview, I am looking forward to more. Don't forget to enter the tour giveaway. 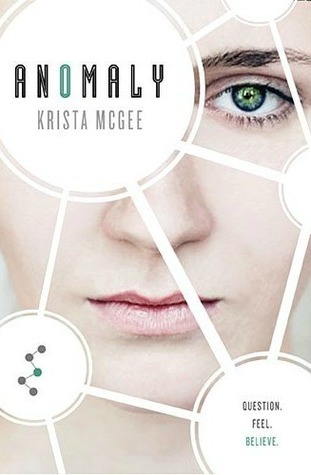 Krista McGee is giving away 5 print copies of Anomaly! !